Flying in the face of criticism that social grants spark dependency, comprehensive studies in Zambia have shown that the benefits of cash transfers to poor families outweigh the cost. The research, commissioned by the United Nations Children’s Emergency Fund (Unicef) and carried out by the American Institutes for Research (AIR), found that social grants for families with at least one young child had effects that amounted to a net benefit of 1.5 kwacha for each kwacha transferred, AIR said in a statement. A second programme was aimed at households with fewer able-bodied people to farm due to the “missing generation” effect, which means there were fewer people in their 30s and 40s and disproportionately high numbers of adolescents and orphans cared for by widows and grandparents. The effect of this programme amounted to a net benefit of 1.68 kwacha for each kwacha transferred, AIR said. Besides eating more meals and building more reliable food reserves, families were found to have used the money to improve their housing, buy additional necessities for their children, acquire more livestock and reduce debt. Notably, the two Zambian programmes were unconditional, providing small, consistent sums of money with no strings attached to how the cash was spent. 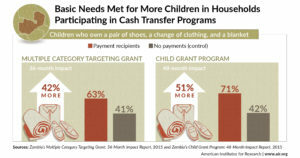 The results bucked general criticisms that cash transfers spark dependency. Rather, the discretionary approach was found to have empowered families, who used the grants to improve their living standards in ways that made sense given their individual circumstances. At no point during the multi-year study of the grants did alcohol consumption increase. Nor was there any impact on fertility, according to the evaluations. The evaluation of the child grant cash transfer programme lasted four years; the evaluation of the second programme lasted three years. The studies were notable not only for their duration, but also for their use of randomisation and control groups to tease out true effects of the programmes. “Few evaluations of cash transfer programmes can make such strong causal claims with as much certainty as these two evaluations,” said David Seidenfeld, AIR’s senior director of international research and evaluation, who was lead author on the study. 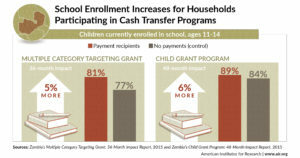 “The design of the study, which extended over several years, allowed us to see that the beneficiaries do not grow complacent over time, but instead find ways to grow the value of the transfer beyond benefits related to food security and consumption,” Seidenfeld said. “Another lesson is that the unconditional nature of the grants gave participants the flexibility to use the money to combat principal life challenges,” said Unicef’s Zambia representative Hamid El-Bashir Ibrahim. “For example, the [child grant programme] significantly affected many indicators commonly associated with resiliency, the ability to manage and withstand shocks. 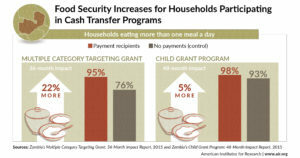 “The overall results demonstrate unequivocally that common perceptions about cash transfers – that they are handouts and cause dependency, or lead to alcohol and tobacco consumption, or increases in pregnancy – are not true in Zambia,” Seidenfeld added. The findings are likely to be studied closely as African nations increasingly embrace social grants to combat the cycle of poverty, AIR said. 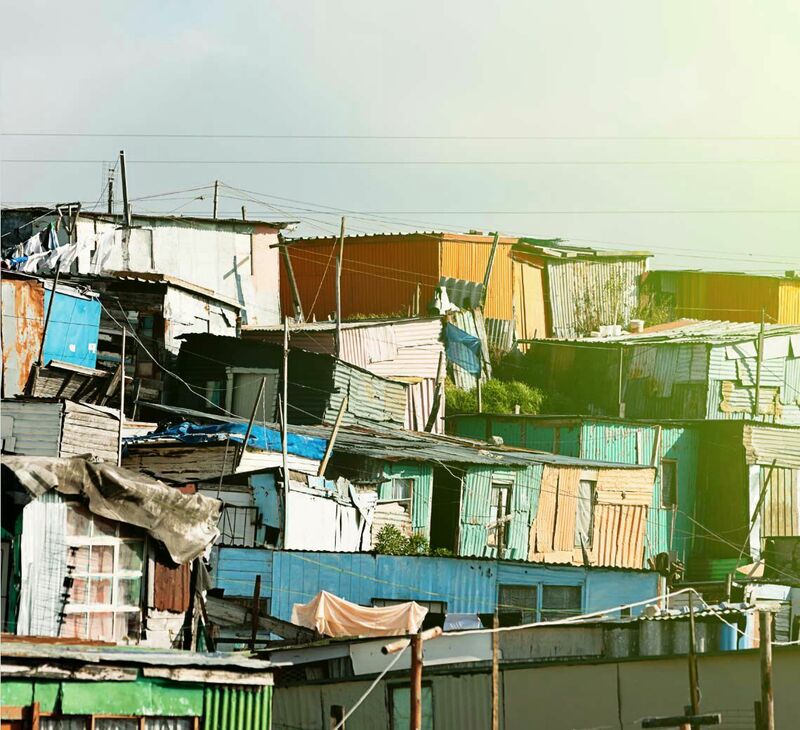 It noted that South Africa’s programme was the largest, with roughly 16.1 million people or about a third of its population receiving some type of social grant.